Blending handcrafted Traditional and Contemporary styles with Sustainable Technologies. Solar Design and Analysis has taken architecture beyond Passive Solar and looks at the total structure, site, materials, systems, water, landscaping and their interaction with each other and the environment. His sensitivity to the historic cultures has blended these new technologies with the traditional forms and materials that have evolved in Northern New Mexico out of common sense and appropriateness. 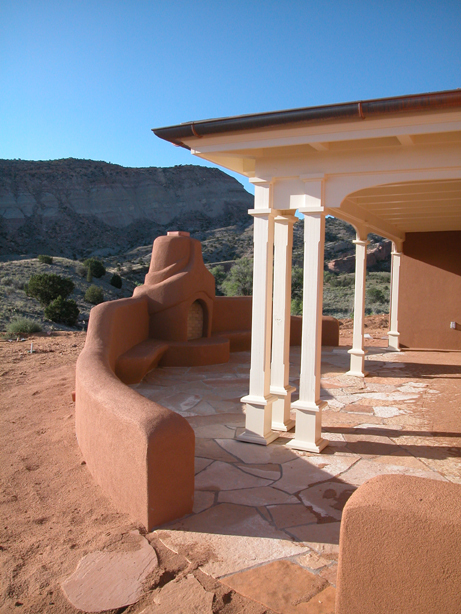 Mark is known for his expertise in the development of the “Solar Adobe” based on the past but adaptive and relevant to the future. Copyright 2017 Mark Chalom, Architect. All rights reserved.